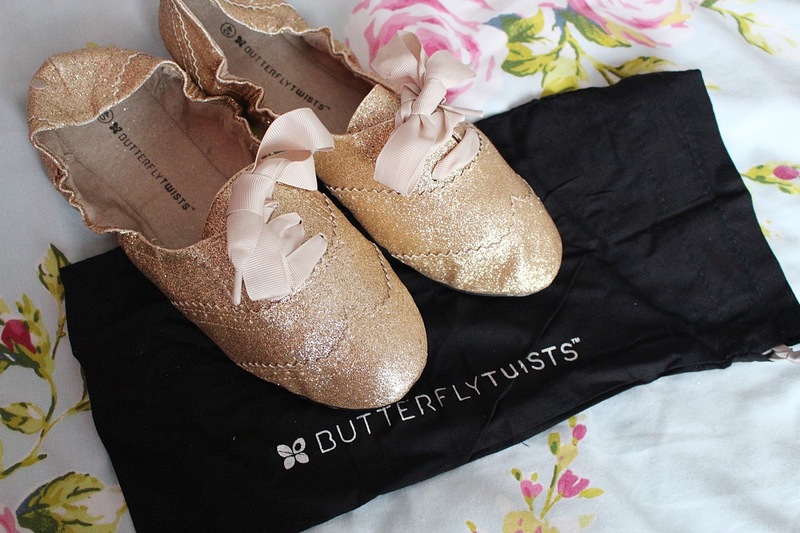 As the party season is well and truly here, I thought it was about time I shared with you my new favourite pair of flats - Butterfly Twists. 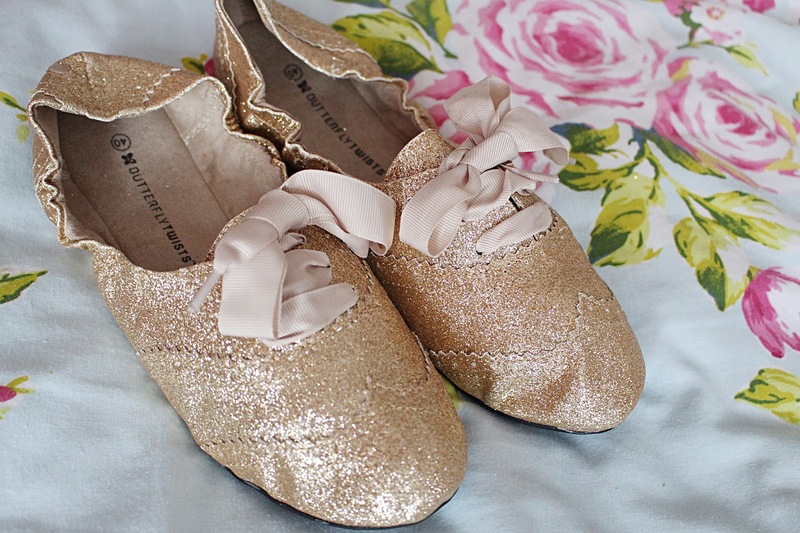 I'd never previously heard of them but as soon as I laid my eyes on the beautiful Gold Emily pair, I was in love. These brogue/ballerina-style shoes are every girl's dream - especially if you're a fan of dancing all night long but don't want to risk your poor tootsies. Why? 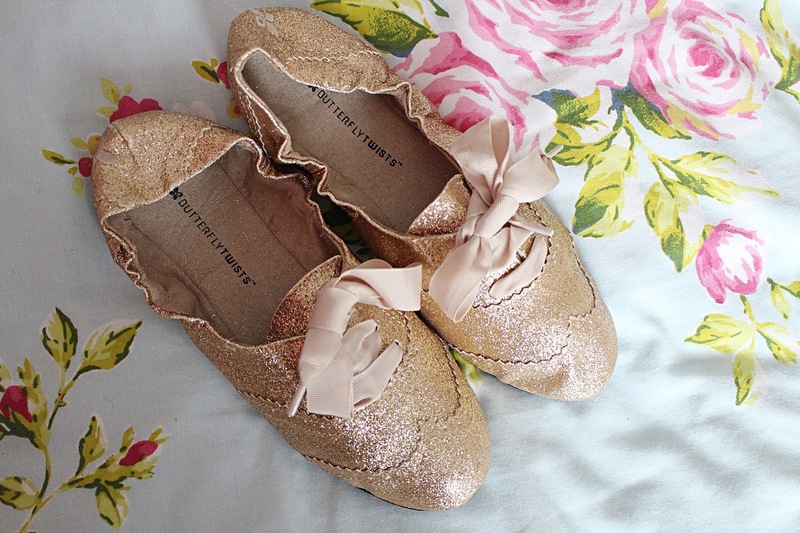 Because these little babies are FOLDABLE as well as gorgeous. Now, I know folding shoes have been on the scene for a while now, but these from Butterfly Twists are basically the 'high-end', amazing quality version of the cheap and cheerful ones you see nowadays. As well as being lightweight and super comfy, they have really cute ribbon laces and even come with a handy bag - meaning you can fold these up and pop them in your bag ready for later on in the night when your heels predictably start to kill your feet. I love these shoes that much though I'd happily wear them all night - and as they're glittery, they are totally perfect for this time of year. Whereas the majority of folding shoes out there deteriorate after a couple of wears, Butterfly Twists are uber sturdy and long-lasting, and whilst the fact they fold is definitely a big part of their appeal, I think these are gorgeous shoes in their own right. 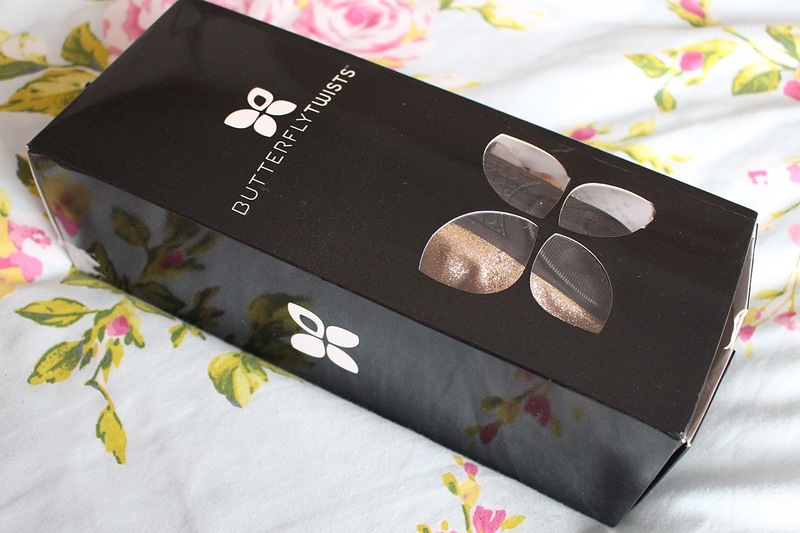 I totally love them and although they might be on the pricey side for some, I think they're totally worth it. I will be wearing them lots over Christmas! What do you think to Butterfly Twists? Let me know!